Comparison Radar ChartThis radar chart holds 3 line series. 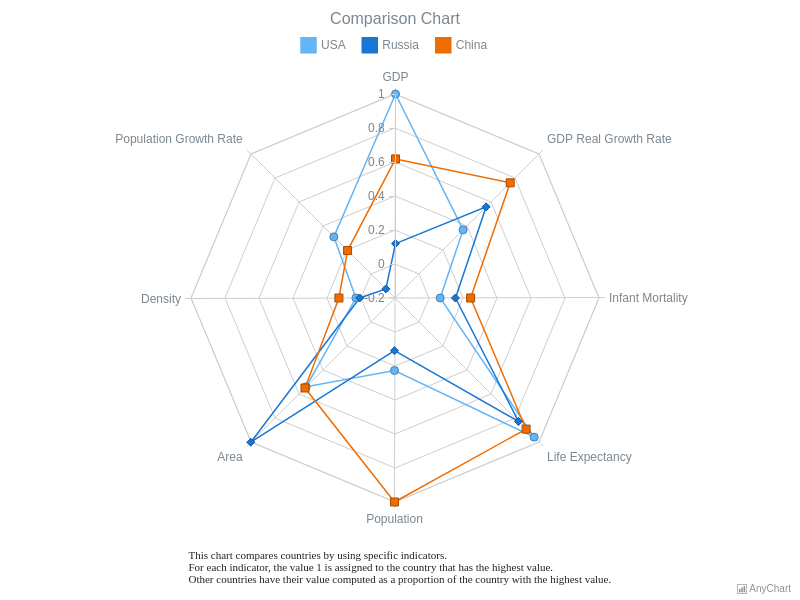 Each line represent a country for comparing. Interactive legend can be used to hide and show chart's series. The chart's label gives additional information and clarifies chart's meaning. Percent Stacked Area Radar ChartHere is a multi-series radar chart. 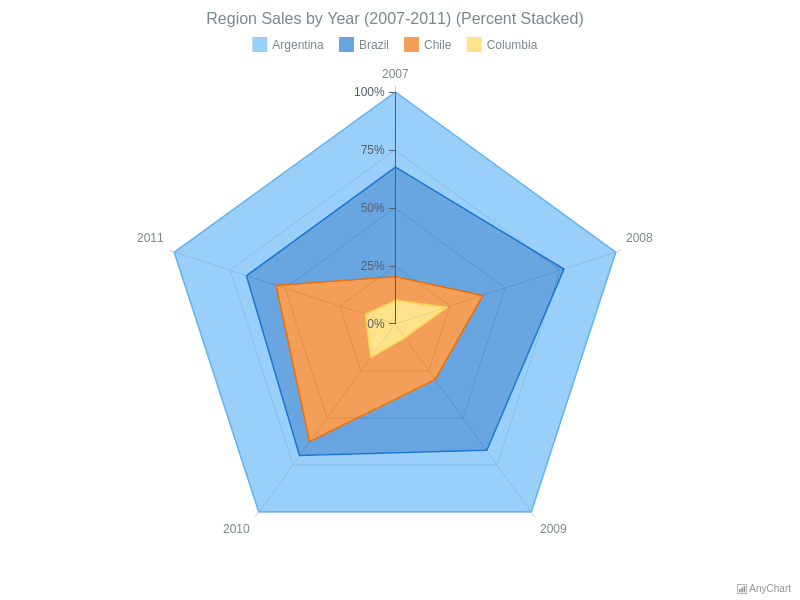 Each series represent a region of sales. The percentage stacked mode ghelps to show that comparing values form a whole. Chart's legend is interactive and can be used for controlling chart's series. Radar Chart with Two Area SeriesThis multi-series radar chart contains a couple of area series. Each series can be controlled using chart's legend. 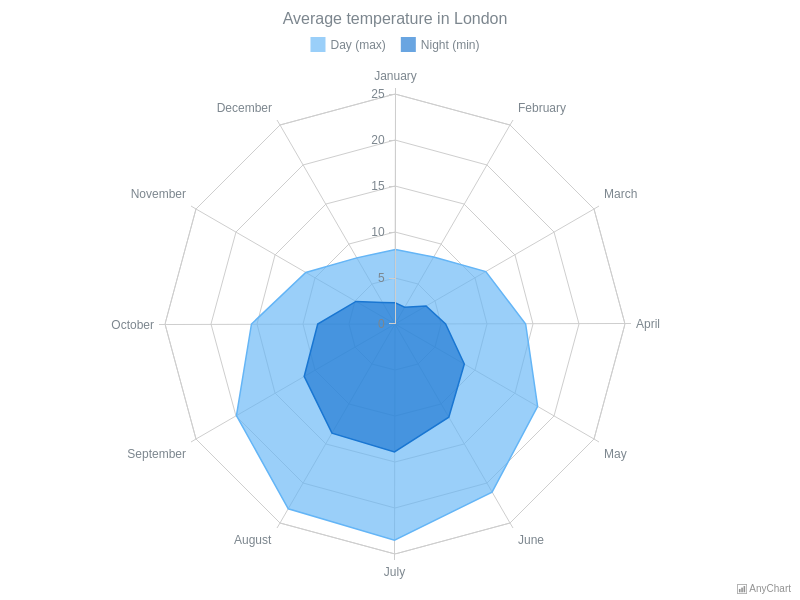 The chart displays the average temperature in London during a year. 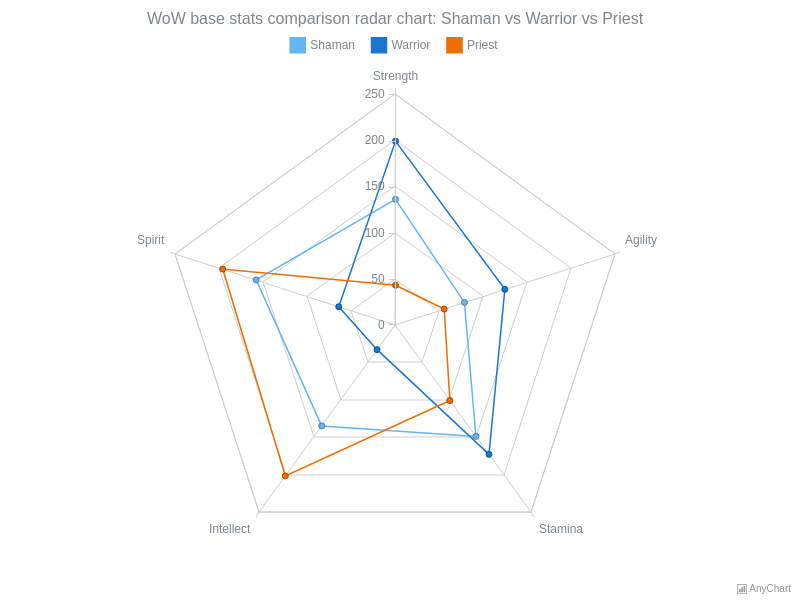 Radar Chart with three Line SeriesThe radar chart visualizes attributes distribution for classes in World of Warcraft. Series can be controlled using chart's legend. All five attributes of the heroes are presented on the circular axis. Stacked Area Radar ChartThe radar chart contains three area series. 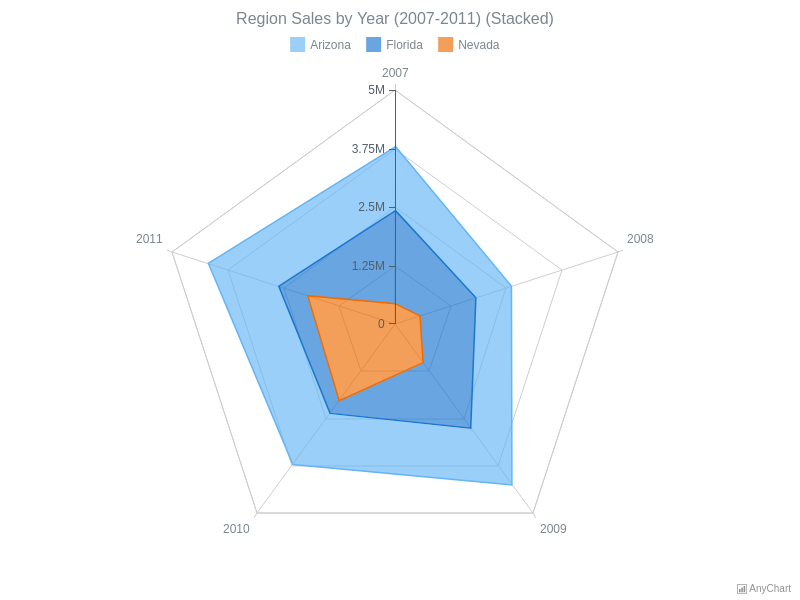 Each series represent sales in Arizona, Florida and Nevada. Stacked series is used to show that those values of our series together form a whole. Chart's legend can be used to control series on the chart.